When i am in a mood for pizza, I go to Pizzeria Mozza; when i am in a mood for pasta, its sister restaurant Osteria Mozza is always a top choice. Both were originated from Los Angeles, California, the Mozza restaurants in Singapore offers quality Italian food that favoured by both locals and foreign visitors. Located in the landmark Marina Bay Sands, Osteria Mozza is possibly the most famous and popular Italian fine dining restaurant in Singapore. It had been another year since my last visit to Osteria Mozza, i enjoyed my meal there, despite few dishes were quite American-saltness, the pasta dishes were indeed memorable. This time, an oversea friend was layover in Singapore to eat, i planned to take her to my favourite restaurants as well as local stalls, but unfortunately she arrived on a Sunday and 98% fancy restaurants were closed. Marina Bay Sands became our top destination because it opens all-year-around. We love pasta thus we decided to eat at Osteria Mozza. Starting with assorted breads, unfortunately the crust was quite dry while the soft and airy inside made it up. Followed by the complimentary snack of crackers with homemade ricotta cheese to open our palates. Since we had chicken rice and char kway teow for lunch, we were keen to start with some leafy greens. 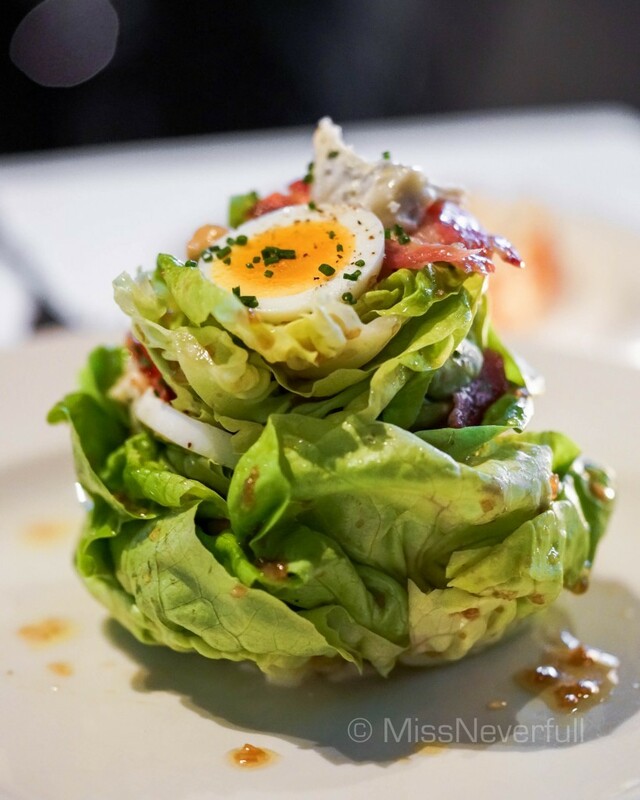 Suggested by the manager, the butter lettuce with asparagus was a healthy crunch which comes with asparagus, English peas, walnuts and pecorino. We loved this hearty dish but the vinaigrette was not well-dressed, thus some parts were too sour - make sure you mixed it well before having it. Followed by two cheese dishes, the Ricotta with braised artichokes, pine nuts, currants & mint pesto ($24) and Burrata with beets, horseradish, walnuts & arugula ($21). I really enjoyed both cheese by themselves, but the artichoke underneath ricotta and beets underneath the burrata were too sour to balance the entire bite. The butter-toasted breads were a bit oily and too hard to our liking. The cheeses are only parts we recommended. One of the most popular dishes at Osteria Mozza is no doubt the grilled octopus with potatoes and celery. It arrived our table with a mouth-watering grilled aroma, it was indeed delicious. Since the octopus is always quite chewy, i don't really recommend it if you prefer more tender and softer textures. To me, i really enjoyed its slightly burnt skin and umami meat. My new love at Osteria Mozza is the matagliati with duck ragu. The server shaved cheese on top of the pasta according to the amount we like. The pasta was cooked al dante, it was incredible with the succulent and flavourful duck ragu. Indeed enjoyable. All in all, i may not say Osteria Mozza is the best Italian restaurant in Singapore, but their pasta is definitely my favourite in town so far. The menu is not cheap but worth a visit in a while. I wish they can change the menu more frequently in the future.